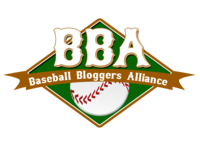 The Texas Rangers Blog - TTRB: Why Haven't We Heard From Nolan Ryan? Why Haven't We Heard From Nolan Ryan? Glass Half Empty / Afternoon Cloud: At least some are reporting that ownership wanted to offer John Daniels Nolan Ryan's CEO position. Ouch. If that's the case, why haven't we heard from Nolan Ryan? Worst case scenario would be, based in NO WAY on anything other than my own supposition, that Nolan Ryan (who does have an ownership interest in the team) is negotiating a buyout of his share of the ball club and his contract at CEO, and him talking with the media now would do nothing to help his negotiating position/leverage. Again, this is just my own guess as to why we haven't heard from Nolan Ryan and is based on absolutely nothing at all. Glass Half Full / Silver Lining: Others are reporting that JD was never offered Nolan's position of CEO. And Nolan isn't going to comment on something that's a non-story about events from last November. Thoughts / Observations / Sidenotes: At the end of the day, one interview from Nolan Ryan would clear all this up. Which completes the circle of questions we're stuck in and leads us back to where we started: Why haven't we heard from Nolan Ryan?